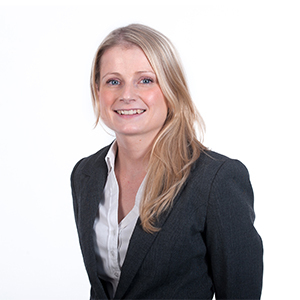 Sarah McIntyre is a solicitor specialising in wills, trusts, powers of attorney and tax planning and is based at our Preston branch. I recently caught her for lunch to discover what she enjoys most about her work, and why she wishes she could fly! Q: Hi Sarah! Thanks for squeezing me into your busy day. So what made you want to be a solicitor? I’ve wanted to be a solicitor since I was at high school. Initially I thought I would train as a solicitor and then join the military and be a solicitor in the army, but then I ended up loving the work I was doing and never ended up entering the military. Q: So why Birchall Blackburn Law? Birchall Blackburn Law allows for much more interaction with clients. The hours can be long but it gives me more time to engage with my clients – and I have some really lovely clients! Q: Which is the most challenging area and what do you enjoy most in your role? I enjoy the accounts side of my job. I like working on estates and handling asset management and also working with trusts. Trust work is more challenging and can be very technical. Q: Any sports or hobbies? Well at the minute I’m renovating my house, so all my time is spent doing DIY! I’m learning as I go along, but I’m enjoying the challenge. There’s lots of places I want to travel to. I’ve already been to a few places, but I’d really like to go to Peru and do the Inca trail. Cathy (the firm’s director) is obviously very inspiring. She’s the director of the firm, panel deputy, a fantastic mum, and does a lot of charity work. I don’t know how she fits it all in! I’d just like to be remembered as a nice, kind person. Spring! It always feels like a new beginning. There’s more sunshine, flowers start to bloom, there’s lambs and rabbits. It’s a really lovely time of year, and there’s Easter eggs! Neither. Juice and hot chocolate! I’d like to be able to fly! I live a four hour drive away from my other half, so being able to spend more time with him would be great.